Hawaii Mom Blog: Visit Las Vegas: District: Donuts. Sliders. Brew. Visit Las Vegas: District: Donuts. Sliders. Brew. Seven rotating flavors daily with over 100 different flavors! As a big fan of donuts, it's one of the first things I look for on Yelp while traveling. District: Donuts. Sliders. Brew. originated in New Orleans, but opened its first outside Louisiana location in The Cosmopolitan of Las Vegas! 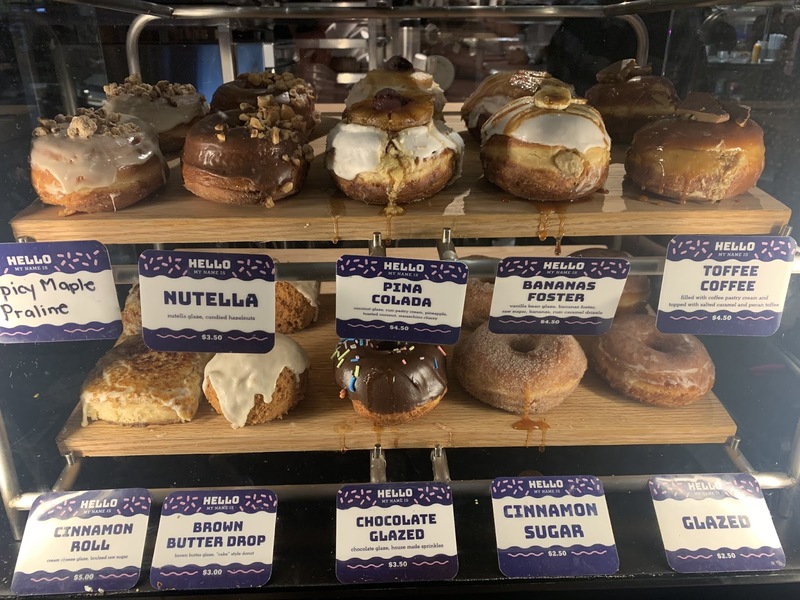 They feature made from scratch donuts with flavors like toffee coffee and Nutella, but also serve up breakfast, lunch, and dinner. On our walk back to our hotel, we stopped at District for a late night donut snack. I chose the bananas foster and my sister went for the chocolate glaze. Both donuts were delish and too large for us to finish, but it was the perfect sweet ending to our first night in Vegas! 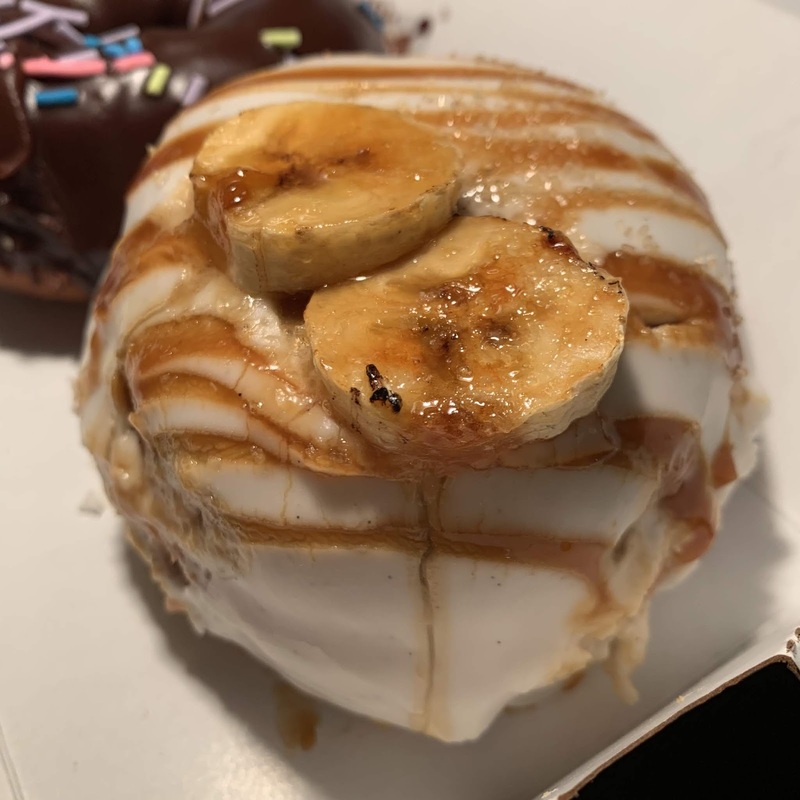 The frosting on this Bananas Foster was perfectly sweet!